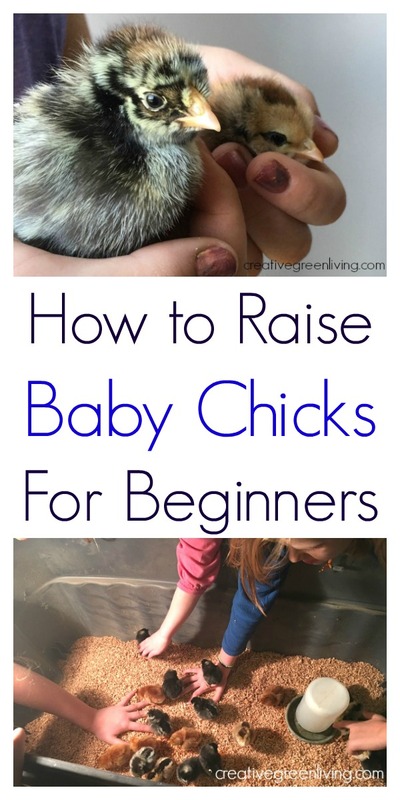 Raising baby chicks at home is a wonderful and adorable way to get started keeping chickens. 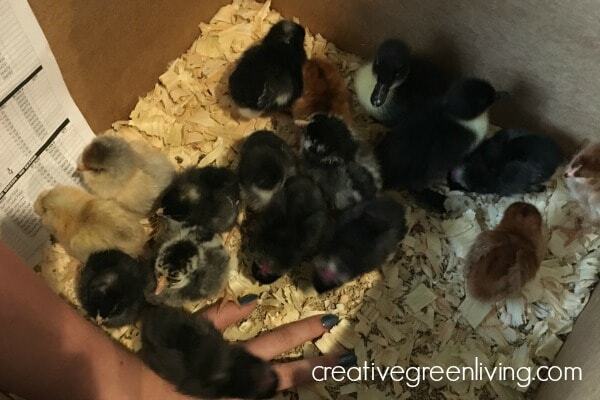 Learning how to raise baby chicks isn't hard and with just a little help, even your kids could take the lead caring for your new fluffy baby chicks. Keeping chickens can be a very rewarding experience as chickens are funny as well as useful. 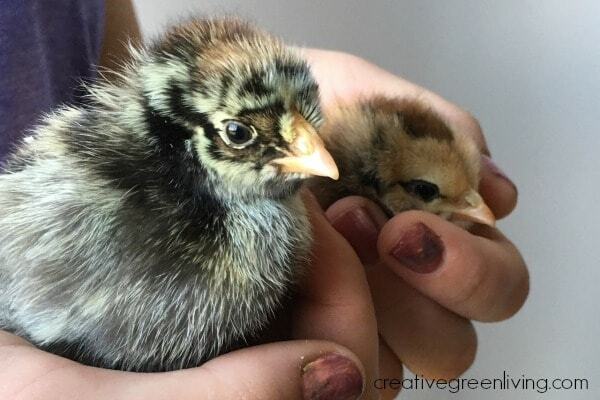 If you want to keep your own chicken flock, this practical advice on raising baby chicks will get you off to the right start! Baby chicks can come from a few different places. You can often buy them at farm supply stores, you can order them directly through hatcheries and get them in the mail, and sometimes you can get find them from local farmers or even on Craigslist. Each source comes with it its own positives and negatives, but my preferred method so far has been to order them from farm supply stores and pick them up there. Doing that allows me to get the breeds I want and the store handles the critical timing of pick up and making sure the chicks get their first electrolytes. However, I’ve also ordered chicks and received them via US Mail and it was a lot of fun to pick up a cheeping box at the post office too. You will be raising your baby chicks in a brooder for their first few weeks of life as they need a lot of heat until either the weather is hot, or they’ve lost their chick down and grown their feathers (usually around 6 weeks of age). You’ll need the supplies listed below to set up a safe brooder. Some sort of box: wooden or even a plastic tote can work. Cardboard is NOT a good choice as it will absorb all the moisture and fall apart and stink. Bedding, pine shavings work best but shredded paper is also an option. If you order your chicks through the mail, you will also need electrolytes to help them survive the shock. If you pick them up from a store or farmer, you might not need them, though electrolytes are good to have on hand. Make sure your brooder box is big enough for them to move around in. Sadly, chicks can be trampled by each other if they're over-crowded. I also recommend that you keep the brooder box in your house or garage in the beginning so you can keep a better eye on them. Use pine shavings and clean out your brooder one or two times a week to keep the brooder box smelling fresh. To clean your brooder box, simply move all the chicks to a different box (maybe the box they came in) scoop out the wood shavings, and add in fresh. The brooder needs to stay very warm while the chicks are growing their feathers. In the first week, the temperature needs to be between 90-95 degrees. Starting in Week 2, reduce the heat by 5 degrees each week. Week 6 - They shouldn’t need any additional heat beyond 70 degrees, but if your chicks look cold reduce the heat to 65 degrees in Week 6. Don’t get anxious over these temperatures. While you definitely want to make sure your babies are warm enough the first week, they’ll let you know if they are too hot or too cold by their actions. If they’re huddled together and chirping a lot, they’re too cold. If they’re spread out and avoiding the heat lamp, they might be too hot. When they spend most of their time away from the heat lamp, it might be time to raise it up or even take it away altogether. A good way to set up your brooder is the put the heat lamp on one side of the brooder (instead of in the middle) and your food and water on the other side. That way the chicks can be as close or far from the lamp as needed and they can regulate their own temperatures! Make sure your baby chicks have access to food and water at all times. You’ll want to feed them an organic chick starter for the first eight weeks. Chickens don't have teeth so they use tiny rocks pieces to help them grind up their food. 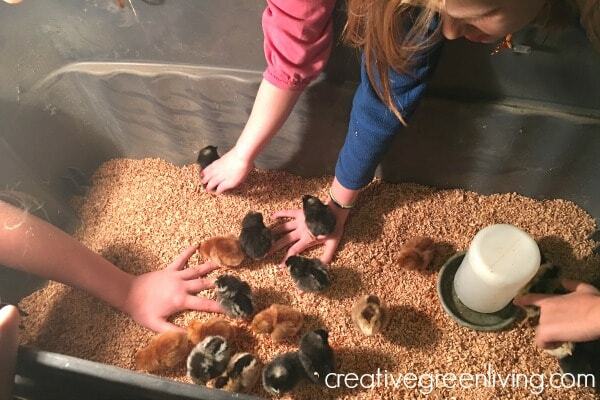 Once they live outside, they can dig these out of your yard but in the brooder you will need to provide them with chick grit. Place chick grit in a small container separate from their food. They are likely to kick this dish over and that's ok. Just keep adding more to the dish as needed. Chicks also need constant access to water. A chick waterer like this attached to a mason jar and is really easy to clean. The day you get your chicks, dip each chick’s beak in the water so they know where it is. You might have to fill their water dish several times a day as they get bigger as they often fill it up with bedding by scratching around in the brooder. It's a good idea to put the waterer on a brick or elevate it in some way to keep if cleaner. Just make sure the chicks can reach it. It’s also important to use a waterer specifically for chicks as they can drown if their water is in an inappropriate container. It's really not hard to raise chicks at all! Just keep a close eye on them for the first few days and have fun! That's it! Enjoy your chicks! Need to integrate new babies into an existing flock? 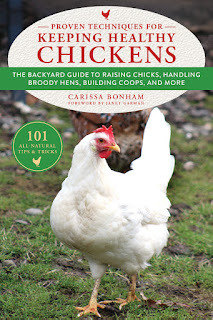 UPDATE: Order Carissa's book about chickens! 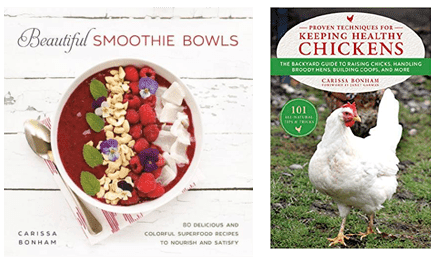 Carissa's new book: Proven Techniques for Keeping Healthy Chickens is now available! Buy it online from Amazon or Barnes and Noble. You can also find it in most Tractor Supply stores nationwide. 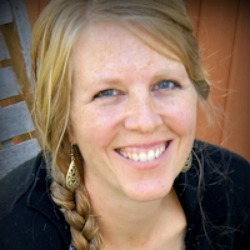 Michelle is a busy work-at-home mom of four unruly farm kids. She lives on 5 acres in rural Eastern Iowa with her family and menagerie of animals: more chickens than she can count, 2 Great Pyrenees, cats, rabbits, and more. 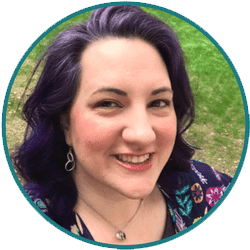 Michelle runs the lifestyle blog Simplify, Live, Love where she encourages people to embrace simple and green living and enjoy their kids. She shares farm-to-table recipes and gardening tips, but also loves traveling outside Iowa. You can find her on Twitter, Facebook, Pinterest, and Instagram. What about grit? Do babies need it? And if not when should I indroduce it? What are some farm stores that you recommend? I personally shop at Wilco, which is a farm store mini-chain in Oregon. I have very limited experience with larger farm store chains. Oftentimes you can find small, one location farm stores in your area as well. I would ask around on social media to get suggestions tailored to your region.